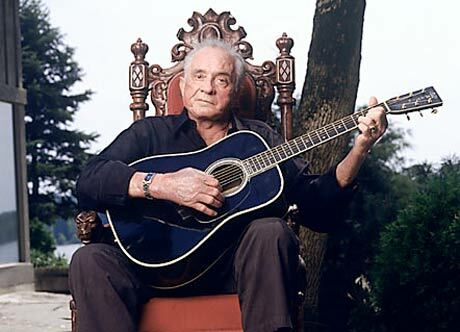 Proving he's just as much of a badass as Tupac, fallen country icon Johnny Cash has another posthumous album slated for release in early 2010. The album is the sixth in his series of recordings with Rick Rubin, and was recorded between the death of his wife, June Carter, and his own death. As TwentyFourBit reports, the album is appropriately called American VI: Ain't No Grave, and is due in stores on February 23. That date is significant, as it's three days before what would have been Cash's 78th birthday. The website also point to an Amazon listing for the disc with minimal artwork that may or may not be the final product. Little else is known about the album or what will be on it. There is speculation as to what songs will be included, however. Those tracks are included below.